Writing a blog post with appropriate images helps the blogger to depict its content more easily and better convey his message to the audience of his blog. It is true that a blog post without image is considered incomplete. If you are permanent blogger, it becomes necessary to use good language and communication skills while writing. In communication skills of writing a blog, the pictorial part is a requisite element. There are plenty of software and online tools that can be used to create pictures. On the other hand, it takes lots of time to search suitable image(s) over the Internet, that can target your written blog posts. Most of the time, you even don't get right background with proper text for your blog post or wasted time in downloading various software. Instead of doing all this. we recommend you to use mentioned tools that can be freely accessible, edited and downloaded. 1. Canva: This is one of the popular to create image, banner, or text image for your blog. One can signup with Google or Facebook account or can register with email address and access free tools and designs. Video tutorial are also available to help the users. You can also switch to premium account to access more tools for your blog posts. It is free to download your pictures in JPG or PDF format. 2. Thestocks.im: Are you worried about copyright images or videos? Copyright images or videos can affect your blog reputation. This solution has been solved by TheStocks.im website that allows you search millions of images free from copyright norms and can edited and then, uploaded to one's blog or social sites. It also provides free download option of every image available free, just you have to signup on the website. 3. Lunapic: For bloggers, we think this is one of the best tool to edit, add background, text to any of the image. You can add image by browsing, from computer or by using URL. 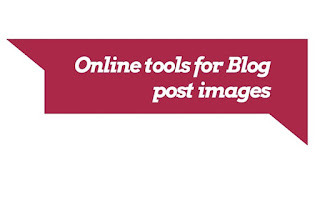 It provides plenty of tools and functions to edit or transform your images for blog. The main point is that it is very easy-to-use those who have no knowledge of image editing. It is no need of signup, you can directly download your edited image in jpg format. 4. Befunky: It is another easy to use image editor. Just click on get started option and edit an image according to your need. It has 3 different tools- photo editor; collage maker; and designer. You can use any of them freely without any interference and then, save it on your computer without any problem of copyright. It has premium option too for further access for variety of tools and options. Comments "4 useful and free online tools to edit images for blog posts"